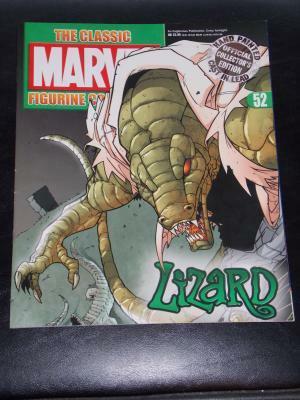 The Classic Marvel Figurine Collection Magazine # 52 Lizard. Take a look at picture to see the exact magazine you will recieve. If you have any questions please ask. Also take a look at my other items for Comics, Toys Collectibles!! Shipping Is Free Anywhere In The USA! !